As a business owner, you’ve probably put a lot of thought into the way you market your in-store or online products. On an ongoing basis, you invest time and finances into maintaining your brand presence on a range of platforms, while also considering the value of your product. You likely already post to various social channels while running advertising campaigns. If so, you might think that your marketing mix is complete. Yet if you aren’t taking advantage of one key advertising opportunity, your marketing program is missing out – and you’ll be missing out on business from many potential customers. Shopping campaigns are a specific type of online advertising that allows you to target some of the most valuable leads – those who are already interested in buying. Unlike other types of advertising, Shopping ads prominently feature a specific product. The ads generally include an image, the name of the product, and a price, providing potential buyers with the basics and directing them to that product’s information page on your site or online store. With the information they provide, Shopping ads can result in higher traffic to your store and, more importantly, a better conversion rate than other ad types. 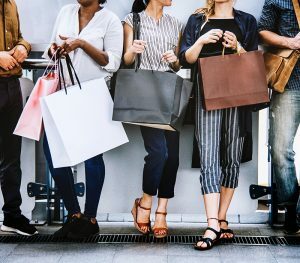 Here are just a few of the reasons that active and effective shopping campaigns are an important investment for your brand. Although customers may encounter your brand and products at any stage of the buying process, the direct nature of Shopping ads will appeal to those who are ready to make a decision and press “buy.” Those who click on shopping ads have most likely already done the research they need to determine what they want – they are highly-quality leads who just need the opportunity to make that purchase, which a Shopping ad gives them. Other types of marketing content may focus on other elements of a customer’s experience of your brand, from display ads that represent a category of product you offer to social media posts that offer a glimpse behind-the-scenes. By contrast, shopping campaigns have a single, direct focus: bringing interested customers right to your products, without them needing to search multiple websites to find the right option. Along with a prominent image that shows customers just what they will get, shopping ads on search engines, social media, and other platforms have unique features designed to encourage clicks and purchases. On Google, you have the option to add enhancements such as special offers, product ratings, and customer reviews to make your shopping campaigns more compelling. Facebook product ads have an even more visual approach, and allow you to create single or mutli-product campaigns to entice potential buyers. These distinctive features create a greater presence for your items than standard ads. With all of these purchase-driving features, shopping ads also provide a far better return for your advertising dollars. Google shopping ads on mobile devices, in particular, earn 87.9% of ad clicks, which explains why brand owners like you are investing almost 80% of mobile ad spend on these campaigns. Shopping ads continue to take ground from more traditional text ads, with an increasing click-through rate on Bing and Yahoo, as well as Google. More customers clicking on your ads results in more customers going to your product pages – and more sales for your business. These advantages make shopping campaigns one of the most important advertising investments you can make for your business. By featuring your products in highly-relevant shopping ads with high-quality images and compelling text that links to an engaging product page experience, these ads will help you to grow your business through increased traffic and greater sales.